The instrumentation alternates between solo acoustic guitar and plus-one accompaniment — supplied via overdubs by either Carroll himself (who also plays harmonica and keyboards) or by producer Lloyd Maines (who provides rhythm, slide and well-traveled pedal steel guitar). Carroll’s twangy and inviting tenor (picture a Venn diagram showing the overlap between Michael Murphey, Jerry Jeff Walker and Mike Nesmith) could warm the coldest heart, and is a perfect fit for his friendly songs about rambling, weather, women, garages and shirts. Furthermore, the Texas troubadour spins his tales in a literary yet down-to-earth and sometimes humorous fashion, like a musical Mark Twain. In the middle of the album are two particularly resonant tunes. The first, “Iris and the Lonesome Stranger,” relates the life of a former Las Vegas rodeo rider whose best friend is a bottle of cheap fortified wine. Having once only nearly won a golden buckle, her hangouts in the years since have morphed from Barstow nightclubs to L.A. truckstops to a Northern California bar called the Dew Drop Inn up in Grass Valley. The sad tale of “Iris” ends on a happy note when a stranger in town pulls up to the Dew Drop Inn and announces, “I got nobody, but I’ve got a lot of land.” Iris pours him some of her Irish Rose, holds his hand and then takes him by the hand. The next track, “This Old Garage,” is sort of a sentimental piece Carroll wrote as a tribute to fellow Texas singer-songwriter Mark Jungers — but from Jungers’ point of view. Anyone who’s spent hours on end in a garage listening to music can relate, but the protagonist and the person to whom he’s speaking took it even further by writing songs and recording demos of them on a cassette recorder in their hallowed spot. 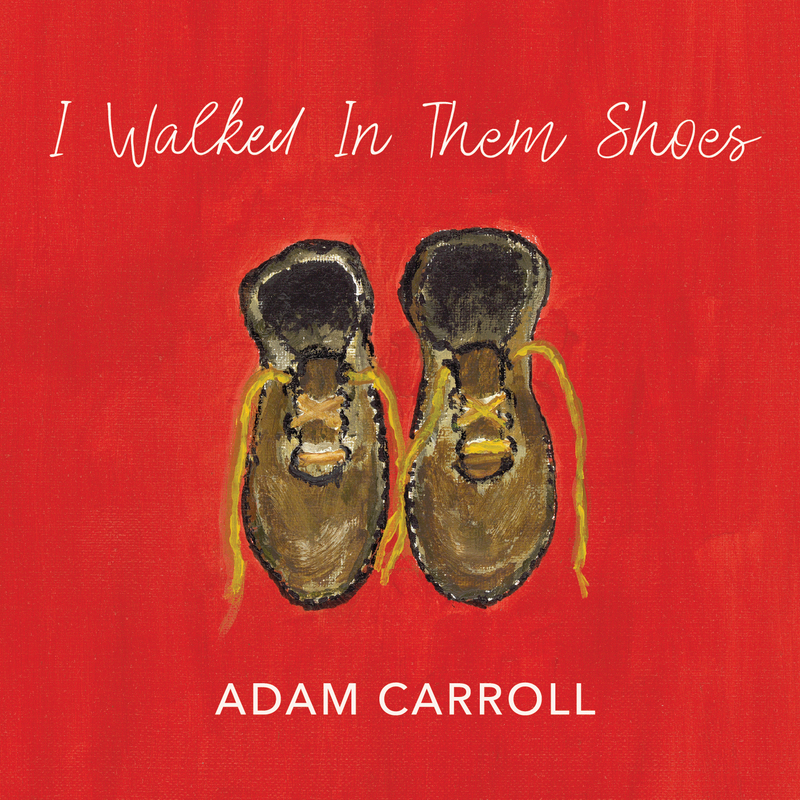 The rest of “Shoes” is full of tunes equally as creative and memorable, and Carroll meets Maines’ high bar for musicianship throughout. Pat Manske’s recording, mixing and mastering at The Zone takes the whole affair to the pinnacle of perfection.